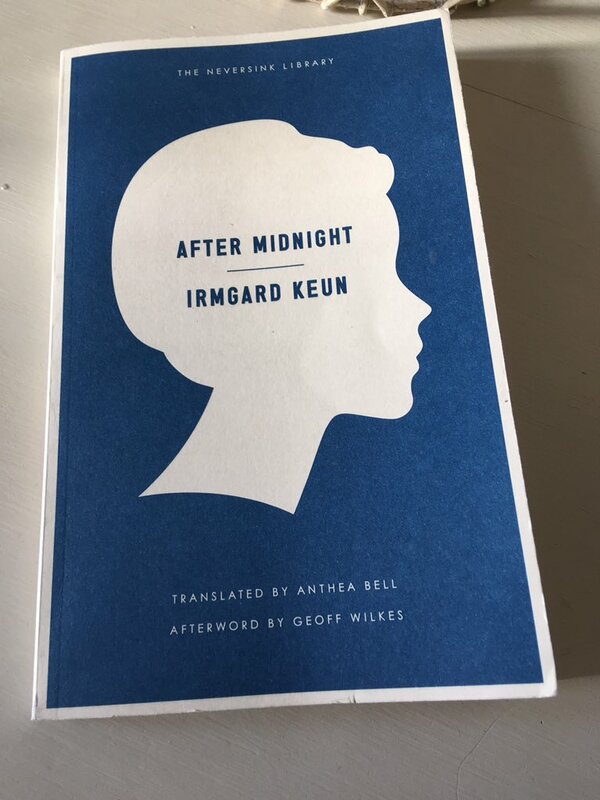 I have long wanted to read the German writer Irmgard Keun, ever since Grant and TJ started to cover some of her books – Gilgi and After Midnight – on their respective blogs. Then last summer, Karen reviewed another of Keun’s novels, The Artificial Silk Girl, and when I read her post, I knew this was the one for me – well, as a starting point at the very least. Reputedly inspired by Anita Loos’ Gentleman Prefer Blondes, Keun set out to write a response from the German perspective, one that ultimately shows us the darker side of life which lies beneath the glamour of the capital city, Berlin. First published in 1932, Silk Girl is narrated by Doris, a striking young woman whose voice I found utterly engaging right from the very start. It reflects her complex personality – a glorious mix of the naïve and the streetwise, the vivacious and the vulnerable. Doris longs for the finer things in life, fashionable clothes and accessories, the bright lights and the big city. She dreams of becoming a successful actress in the movies. Instead, she’s stuck in a provincial town, in a dead-end office job she’s barely qualified for, trading on her charms and good looks to keep on the right side of the boss. Moreover, Doris is forced to pass the majority of her wages to her lazy father who promptly uses the money to get drunk. What little is left over goes on a treat, in this case a new hat – well, a girl’s got to keep up appearances, especially if she wants to get ahead. Shortly after getting the push from her job by knocking back the advances of an amorous attorney, Doris lands a small break as an ‘extra’ with the theatre company in her hometown. Once there, she uses all her womanly wiles and a few white lies to move forward, securing a walk-on part with a spoken line in the process. However, it’s not long however before Doris is found out, leaving her no other option but to hightail it to Berlin with little more than a stolen fur coat for company. On her arrival, she is dazzled by the new environment, the sights and sounds of this glamorous city. All too soon the harsh realities of life kick in and Doris finds herself moving from one temporary room to another, her fortunes ebbing and flowing according to the generosity (or not) of the people she encounters along the way. With the police possibly on her tail and no official papers to hand, Doris knows it would be difficult for her to find a short-term job – in any case, she doesn’t particularly want one, not if her previous experiences of conventional work are anything to go by. There are various encounters with men – some kind and charming, others less so – but the most promising ones always seem to have a wife or another woman tucked away somewhere. Doris is smart enough to know her own value, so she uses her looks and personality to blag herself some decent clothes and a few drinks every now and again. Even though life in the city can be tough and lonely, Doris is determined to follow her own path in an effort to get on. The conventions of marriage and domesticity are not for her, something she learned a while ago by observing the lives of those other girls back home. Rather cleverly, the story is conveyed through a series of reflections, ostensibly presented as a set of journal entries that capture Doris’ thoughts as she strives to survive. In some respects, Doris is like a camera, recording and portraying the highs and lows of life in Berlin. There are some dazzling passages here, presented in a compelling stream-of-consciousness style, particularly the impressionistic sections in which Doris relays the vibrancy of Berlin to her blind neighbour, Herr Brenner, complete with all its characteristic lights and colours. The journal entries also reveal elements of Doris’ backstory – in particular, her impoverished and less-than-happy childhood – along with her sharp observations on the social order of the day, especially the situation for women. The last quote is a great example of this critique of society’s views and expectations. While the narrative begins in a very breezy, upbeat manner, the tone darkens significantly as the story progresses. The initial surface glamour of life in Berlin soon falls away, leaving Doris hungry for a little food, warmth and affection – things she knows she may have to rely on a man to provide. Keun’s heroine has been likened to Sally Bowles from Christopher Isherwood’s seminal novel Goodbye to Berlin. While there are undoubtedly similarities between the two characters, particularly in terms of their attitudes and the Weimar-era setting in which they find themselves, the women I was most reminded of while reading Silk Girl were those from the works of Jean Rhys. In this scene, Doris is so desperate that she allows herself to be picked up by a man, a stranger who stops her in the street, probably in the belief that she is a prostitute. It could have come straight out of one of Rhys’ early stories. 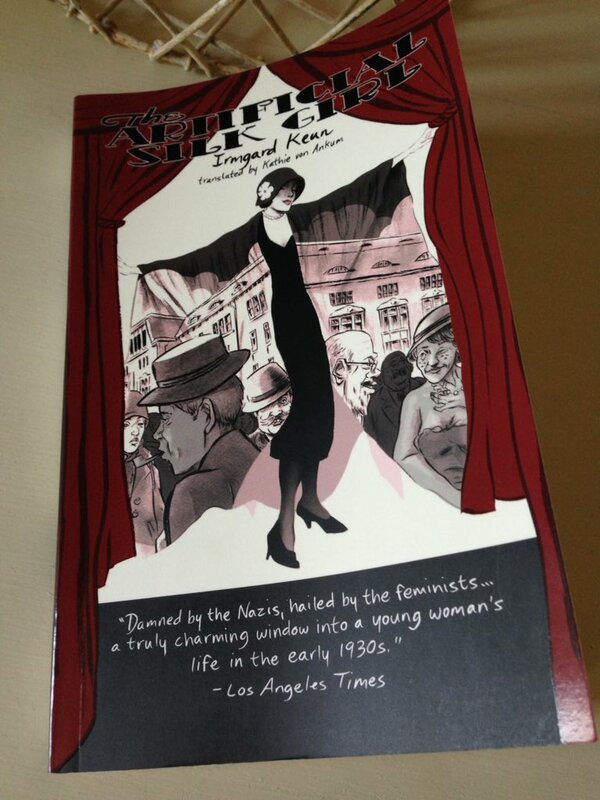 All in all, The Artificial Silk Girl is a very impressive novel, an evocative insight into a city on the cusp of political change – in this respect, it would make a great companion piece to the Isherwood I mentioned a little earlier. Doris is such a wonderful creation, an instinctive woman who turns out to be more sensitive and fragile than she appears at first sight. (In fact, the book itself is also much deeper than its initial breeziness suggests – more thoughtful and considered in many respects.) It can be so hard to strike the right note with a first-person narrative, but Keun nails it here, giving us a very convincing portrait of this feisty yet vulnerable girl about town. 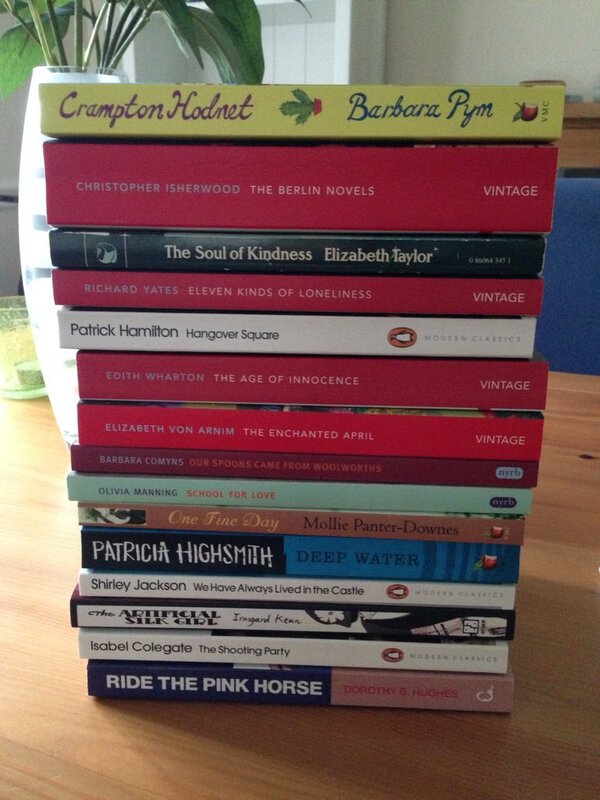 I read this novel for Caroline and Lizzy’s German Literature Month which is running throughout November – there’s some info about it here. If you’re interested in learning more about Irmgard Keun, you might want to take a look at Max’s review of Volker Wiedermann’s book, Summer Before the Dark, which includes passages covering Keun’s relationship with the writer Joseph Roth, whom she met in Ostend 1936. It’s a very poignant story, all the more so because we know what was looming on the horizon for the years that followed. The Artificial Silk Girl is published by Other Press; personal copy. 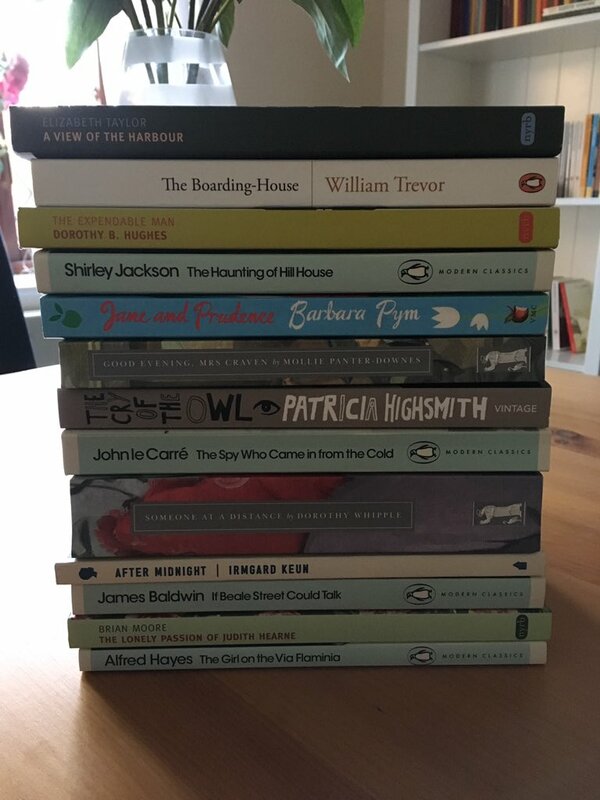 This entry was posted in Book Reviews, Keun Irmgard, Women in Translation and tagged #GermanLitMonth, #ReadWomen, #TranslationThurs, Anita Loos, Book Review, Christopher Isherwood, Classics Club, Fiction, Germany, Irmgard Keun, Jean Rhys, Kathie von Ankum, Literature in Translation, Other Press, Volker Wiedermann on November 7, 2017 by JacquiWine.